Graceful, impeccable and promising. These are the first impressions a Salzburg visitor gets once appearing in this marvelous city. Whatever direction you look at, you see a picturesque building, monument or church. 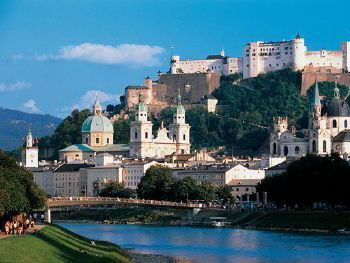 The Hohensalzburg Castle dominated by the self-titled fortress will amaze with its ancient architecture, while Salzburg Cathedral has a majestic appearance. It had an essential role in Mozart's life - it was his baptism location. If your group loves pretty places, Schloss Mirabell and Gardens will be a great tour beginning. Renting a minivan in Salzburg for your entire group, make sure they all want to visit Mozart's birthplace and tell the chauffeur to drive you to the road Getreidegasse 9, 5020. Today the famous musician's apartment has been turned into a museum. There are portraits of the whole Mozarts family, Amadeus's violin, as well as plenty of other belongings. Rent a minivan to take you there as quickly as possible! 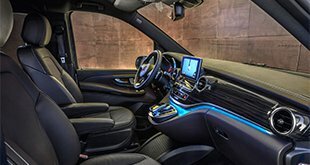 Look through all car rental services in Entire Europe, and you will get assured 8Rental has prepared the most beneficial conditions for you!. Only here you can hire a minibus with a driver in Salzburg as affordable as stated. Getting a quote and filling in the hiring details (pick up and destination address, the number of passengers, the journey type, as well as additional requirements), you give your stay in Salzburg a good start. Go ahead and explore the city in comfort! 8Rental car and driver supplier does never impose its opinion but wants to recommend to think about all aspects before leaving for Salzburg. Just as you book your hotel room beforehand, or even buy some festival and concert tickets online, you'd better rent a minibus with a driver in Salzburg. 8Rental offers to select the best minibus according to its comfort and capacity. No matter which vehicle you choose (they are all in perfect condition), you are sure to love the feeling of satisfaction it provides. A standard Mercedes Viano intended for up to eight passengers looks stunningly attractive. Its sleek and elegant look is paired with premium specifications any passenger will highly appreciate! This vehicle is perfect for traveling long distances across the entire city as it is equipped with reading lights, comfy seats, air suspension, air conditioning, tinted windows, armrests, etc., Another fantastic minivan to hire from 8Rental is Mercedes Sprinter VIP. The latter accommodates up to twenty-four passengers and drives them around Salzburg in chic! It is a spacious vehicle that provides utmost comfortable drives. Traveling all together is much more fun, hire a minibus with a driver in Salzburg and get transported in comfort!. Are you speaking English, Dutch or French? We have employed drivers who speak all these languages and will make you are contacting the utmost convenience. 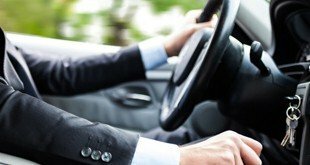 Each of our chauffeurs has a driving license, years of experience and a firm determination to provide the highest possible customer satisfaction level. They are polite, always sober and responsible. 8Rental minibus rental in Salzburg provides additional amenities for every client applying for its services. Hire a minibus right away and get your "portion" of extras! First, you will get the fuel for free, no matter how much you will be driving around the city. If you book a vehicle with its driver, you and all the passengers will be provided with health insurance. But be calm, our drivers are real experts, and no accident has ever been registered! Rent a chauffeur-driven minibus in Salzburg and tell the driver to meet you right in front of the airport, railway station or anywhere else you will feel the most convenient.